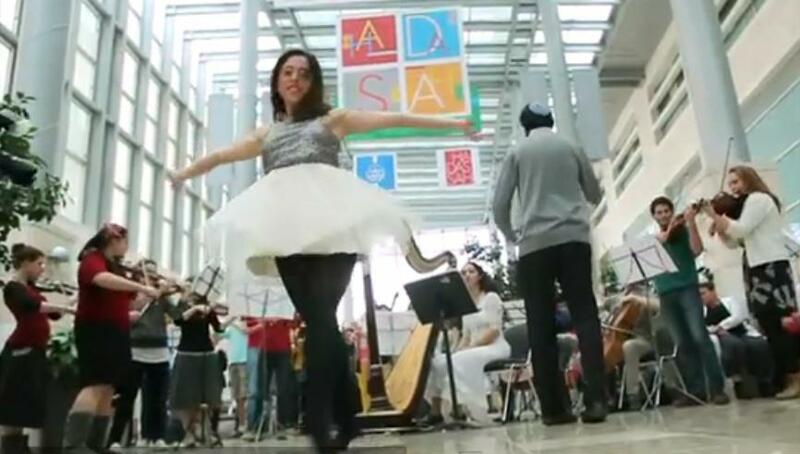 Earlier this month forty students from the Jerusalem Academy of Music and Dance took a classical approach to the flash mob as they flashwaltzed Tchaikovsky's Waltz of the Flowers at the new Sarah Wetsman Davidson Hospital Tower in Jerusalem. Doctors, patients and passers-by joined in the fun. The surprise concert was part of Good Deeds Day, an annual event that originated in Israel in 2007 and now takes place in over 50 countries worldwide. On this day volunteers reach out to the less fortunate and the vulnerable. The Academy students enjoyed the day so much that they have decided to schedule regular concerts at the hospital. Hadassah Medical Organization treats over one million patients annually, without regard to race, religion or national origin. Chag Sameach and Shabbat Shalom from Jerusalem. A Joke to Start the Week: "Show Me the Baby"